Planning and the smart use of technology can deliver financial savings and environmental benefits, says JDA Software. Collaboration and the implementation of smart transport and logistics strategies can reduce a business' impact on the environment, says JDA Software's Razat Gaurav. Twenty percent of the world's annual greenhouse gas emissions come from logistics and transport activities. For JDA Software's international SVP, Razat Gaurav, establishing more efficient and sustainable logistics and transport strategies is essential. 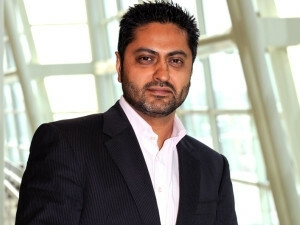 "There is a lot of focus on the environment at the moment, and what we are finding is that many companies that initiated energy-efficiency programmes and carbon emission reduction programmes for PR [public relations] reasons are starting to move beyond just the rhetoric and are making tangible steps to be more efficient," said Gaurav in an interview with ITWeb. He suggested that tightening up a business' supply chain, particularly its transport, is one way to do so. An improved production strategy and distribution network, coupled with planning and the smart use of technology, can deliver considerable financial savings and environmental benefits, said Gaurav. Many retailers use third-party logistics providers to transport their goods from suppliers to stores, but these third parties are often uninterested in making processes more efficient because this means they will lose money, noted Gaurav. As such, he suggested that retailers need to be thinking about how to gain more control over their transportation networks should they want to become more efficient - and this will boost revenue. He says the current status quo needs to change, with retailers and manufacturers taking greater control over their transportation networks. This often entails working together, noted Gaurav. Empty miles - vehicles travelling without any freight on board - cost the company money and have a negative impact on the environment, Gaurav added. Through improved transportation strategies and greater collaboration, retailers and manufacturers should aim for empty miles accounting for less than 10% of costs, which could potentially save up to 560 mega-tons of carbon dioxide emissions each year, he said. In the US, Proctor & Gamble and Baxter Healthcare opted to share shipments in order to reduce costs and become more environmentally responsible. P&G has also moved from large single-category manufacturing plants to more localised multi-category facilities, which reduces transportation and delivery costs and ultimately lowers its overall carbon footprint. Getting stakeholders to back green initiatives comes down to driving shareholder value, he noted, adding that, by making processes more efficient, businesses will ultimately reduce unnecessary spending. "There is no silver bullet. It really is a phased approach," he concluded. "Companies need to address the current state of their operations and then take concrete steps to consolidate and make the entire supply chain smarter and more efficient."